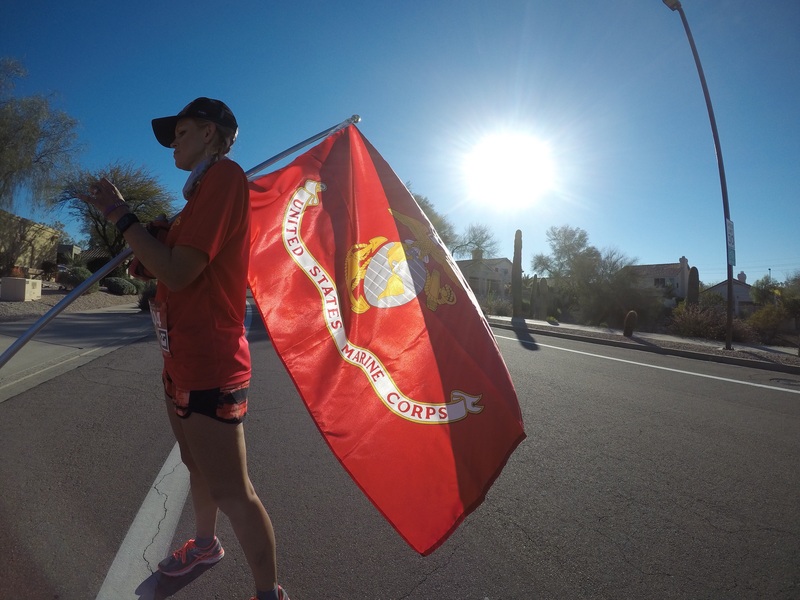 On Saturday February 25, 2017, PLEA organized and participated in the third annual Carey’s Corps run done in conjunction with the Phoenix Marathon. Former Marine SSgt. James Carey suffered severe paralysis after an accident during a water training exercise several years ago. 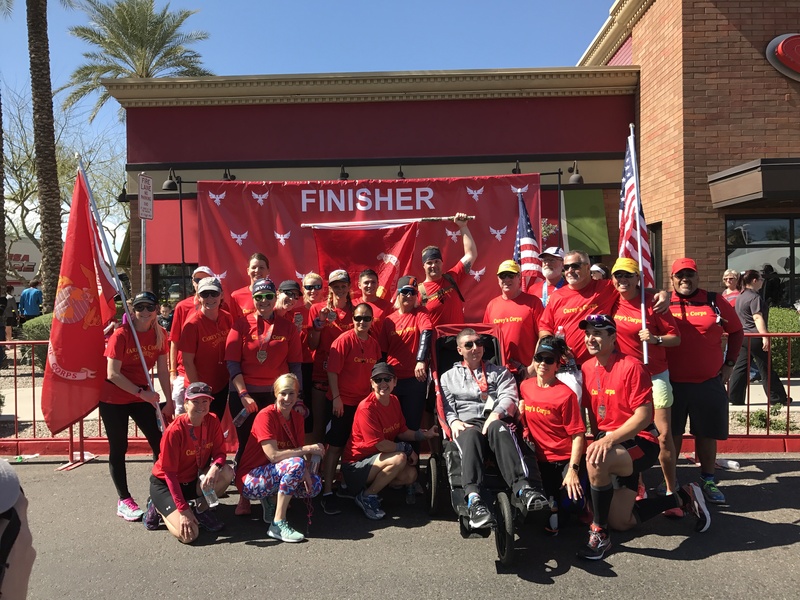 His former platoon commander, Marine Captain Nate Wood, as a form of physical therapy, began pushing James in marathon races with the use of a specially built wheelchair. Three years ago PLEA helped organize volunteers to support James’ first entry into the Phoenix Marathon. This past year Captain Wood has been unable to participate due to duty assignments and related obligations. 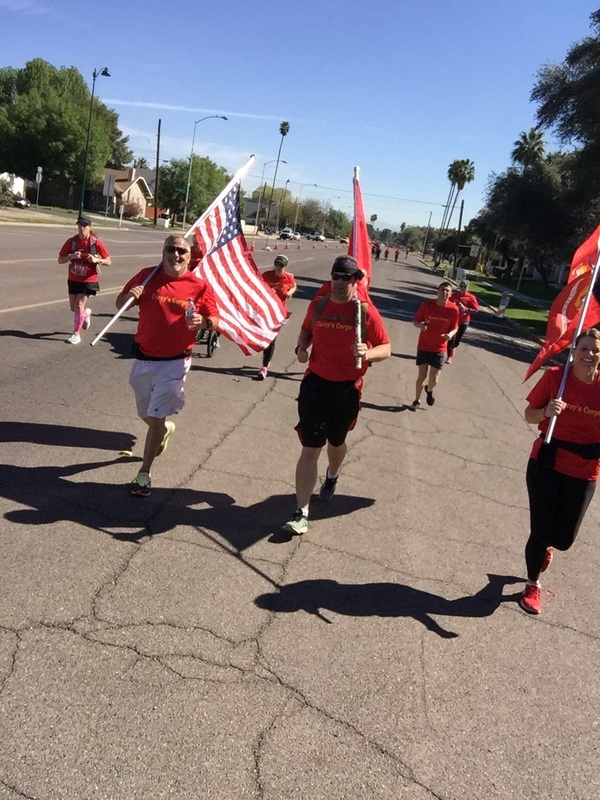 PLEA would like to thank Phoenix Officer Rich Vasquez who stepped up to the plate to run the entire marathon with the team, who took turns to push SSgt. Carey the entire distance. Officer Vasquez had just run the PF Chang’s Rock n’ Roll marathon four weeks earlier. PLEA would like to express our thanks to all volunteers who participated to make this event a success.